Pool/Getty ImagesFormer President Barack and First Lady Michelle Obama. Former President Barack Obama is in talks with Netflix to provide shows for the streaming platform, according to a New York Times report published Thursday night. The deal, which is not yet final, would bring exclusive content from Obama and former first lady Michelle Obama to Netflix’s 118 million subscribers. The Obamas, still fresh out of the White House after two presidential terms, are looking for ways to cement their global legacy. Former President Barack Obama and first lady Michelle Obama are negotiating a major production deal with Netflix, The New York Times reported on Thursday night. Indeed, the Obamas have continued that in the year following their departure from the White House. Additionally, Obama has sought to remain politically engaged, posting messages to Twitter, often in response to major national news. Barack and Michelle Obama hold massive audiences on social media – 101 million for the former president, and more than 10 million for the former first lady on Twitter alone. A deal with Netflix could potentially expand their reach even further. The Times notes that the Obamas have no plans to use Netflix as a vehicle to dish out responses to their critics. One possible show idea, the newspaper said, could involve Obama discussing topics that were germane to his policies as president – including health care, voting rights, and immigration, The Times said. Those topics comprise portions of the legislative agenda he exercised during his time in the White House – many of which President Donald Trump has sought to roll back since he took office last year. News of the pending deal follows several big tie-ups between Netflix and some Hollywood heavy-hitters – including a $US100 million agreement with “Scandal” and “Grey’s Anatomy” creator Shonda Rhimes, and a $US300 million dollar, five-year deal with “Glee” and “American Horror Story” creator Ryan Murphy. The financial terms of the potential Obama-Netflix agreement are not yet clear. 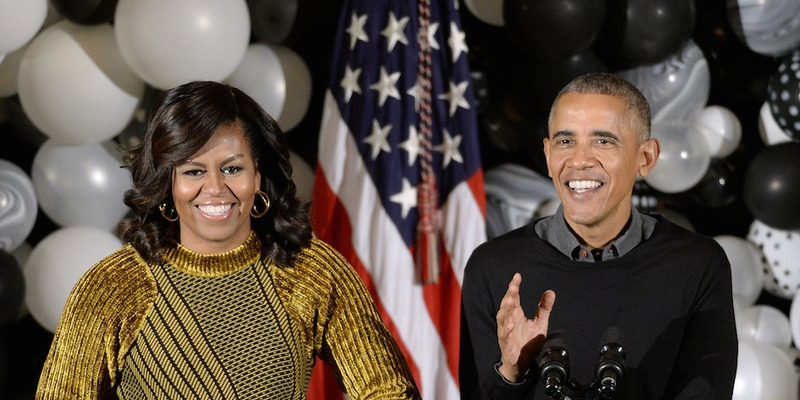 Last year, the Obamas reportedly inked a record-setting $US60 million deal to write two memoirs – one each for the former two-term president and first lady.